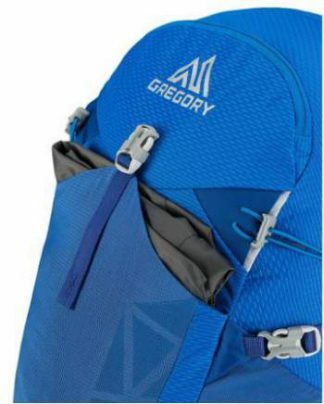 The Gregory Citro 25 hydration pack is a very lightweight daypack with an unusually robust spring steel frame. This is a part of a new daypacks series Gregory launched in 2017, ideal for hikers and mountaineers. The pack comes with a 3D 3-liter reservoir which is stored in its separate external compartment. Gregory Mountain Products Men’s CITRO 25 3D-Hydration Backpack. Sturdy suspension system with a steel frame. Magnetic clip for the water valve. The Citro 25 is a part of the series which includes daypacks of 20, 25, and 30 liters. So it is in the middle of the series, and with its 25 liters (1526 cubic inches) of volume, I see it as a perfect day pack for any outdoor activity. This is a panel loading type, with a zippered U-shaped entrance to the main compartment. Because of such a lidless construction, it looks smaller than classic packs with lids. You will notice that all zipper pulls are really big, and you can handle them even with gloves on. The zippers are good quality and easy to open and close. Inside of the main compartment you only have one zippered mesh pocket for valuables and keys; it is shown in one of the pictures below. 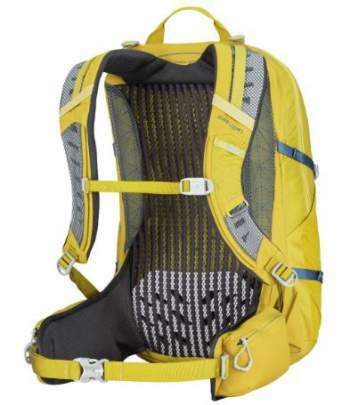 In the title, you see the term ‘hydration pack’ and this applies literally here; the pack comes with the bonus 3-liter hydration bladder which is stored in a separate compartment behind the harness. There is an insulation layer between this compartment and the main compartment. This separate compartment is yet another bonus because getting to the bladder is easy, and the main compartment remains free for your other stuff. Though, when the bladder is full, it pushes the wall of its compartment and makes the main compartment a bit narrower. The bladder attachment is quite unique, with a hard plastic clip (see the picture below) that keeps the bladder fixed in place. In the description of the reservoir, you will notice 3D. The meaning of this is that it is not flat even when it is empty, this is partly due to the baffle in the middle of it which is there to keep water from sloshing. This 3D property also implies that the bladder is really easy to dry after using it. You have a handle on the top of the reservoir and the cap is quite large, it is shown in the picture below. Yet another nice feature on the bladder is a clip on the bottom, which you can turn and hang the bladder upside down. One extra bonus is the magnet on the water hose, so it attaches to the sternum strap very easily. There is no separate port for the water tube. So you pass it between the two zippers and therefore you can position it wherever you want. Surprisingly, the zippers do not get loose when you walk with the tube used as described. 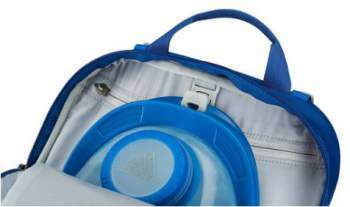 The included 3D 3-liters hydration bladder in its separate compartment. The internal pocket for valuables. The main body of the pack is 210D ripstop nylon, strong enough and with very good features as its name suggests. The base is reinforced, built of a much more durable 420D ripstop. This all is water resistant, but bear in mind, it is not waterproof and the pack does not have its own rain cover. The suspension system with a steel frame. The suspension system is based on a spring steel peripheral frame, quite robust for the pack of such a size. They use the term Vapor Span technology to describe the system applied here. It includes a vented back panel for a maximum air flow. So you have a mesh but this is not a curved and tensioned back structure which is typical for some tensioned mesh systems like Gregory Zulu series. 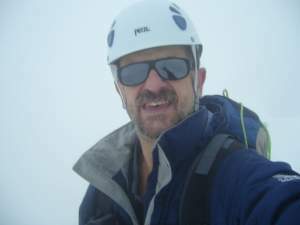 The present design is supposed to allow sweat to disperse, but you will sweat for sure; I have just returned from the Alps where I was using a pack with a tensioned mesh and with a huge space between the pack and my back, and I was sweating of course. Note that the torso length is fixed here, so there is no adjustability, but I do not think this is a major issue for such a daypack. The lumbar zone is with a perforated EVA foam, quite good for its size and very comfortable, this is typical for Gregory’s packs. The shoulder straps are nicely padded, with perforated EVA foam and cut-outs to reduce weight, all is soft and very comfortable. Such a construction is supposed to provide a lot of breathability. You have a few extra straps on the shoulder straps, to attach things like glasses or anything else. The shoulder straps are with load lifter straps; this is not unusual to see here because this is a pack with a true frame. The hip belt is practically without any padding, but it is wide and provides a good wrapping and stability around the hips. This is good enough for such a size and the pack allows you to carry up to 25 pounds (11.3 kg) quite comfortably. The frame is certainly strong enough even for a heavier load, but this would need much more padding on the shoulder straps and on the hip belt. The sternum strap is adjustable, it slides up and down along sliders on the shoulder straps, and you will notice it is equipped with a magnet which is there to attach the hydration valve. There are 6 external pockets here. The hip belt is with standard zippered pockets, one on each side. One scratch-free zippered pocket is on the top of the pack, very much suitable for mobile phone, glasses, or any electronic device. 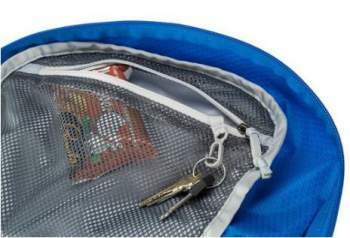 On the front, you have a stretch mesh pocket, shown in the picture below, it is quite large and with a clip on the top. You can store a lot of stuff here, all those things that you might need when on the go, like your rain shell jacket or a piece of fleece. Attachment for trekking poles and an ice axe. Large front stretch mesh pocket. On both sides, you have one stretch mesh pockets that can be used either for water bottles or for any longer object. Dual compressions straps are also on both sides (see them in the picture below), to secure items stored in the side pockets, and to cinch the pack down. They are really useful because you can store a lot of stuff in the side pockets, like trekking poles, a tripod, tent poles, and you can fix them with the straps. You also have dual attachment loops on the bottom front section, one on each side and they are paired with two bungee tie-offs higher on the front. So here you can attach poles or ice axes, as presented in the picture below. Weight: 2 lb 5 oz (1.05 kg). Volume: 1526 cu in (25 l). Dimensions: 20.25 x 11.25 x 9.5 in (51 x 29 x 24 cm). Maximum weight: 25 lb (11.3 kg). Dedicated hydration pocket with SpeedClip system. – Body: 210D CryptoRip Nylon. – Lining: 135D HD Polyester. Magnetic sternum strap valve attachment. Interior zippered mesh accessory pocket. Dual trekking pole and tool attachment points. As you realize, the Gregory Citro 25 backpack is the lightest of the three packs in spite of its steel frame. The prices at the moment of writing this text are $130, 139 and 120, respectively. 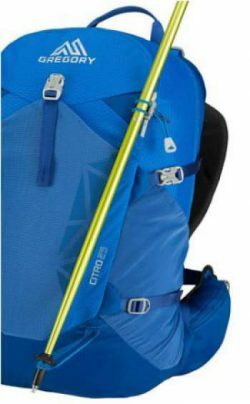 So I would say the Citro’s price tag is very reasonable when you compare it with other top-notch tools, and in particular in view of its integrated hydration bladder. In the conclusion of this Gregory Citro 25 Hydration Pack review to stress again this is a nicely built daypack with an exceptionally sturdy suspension system for such a size, and with the bonus hydration system. I trust the brand behind this pack and I can fully recommend it. As mentioned above, this pack is a part of the series of three, so if you need a smaller or bigger pack, please check this link. The corresponding pack for women is the Juno 25. 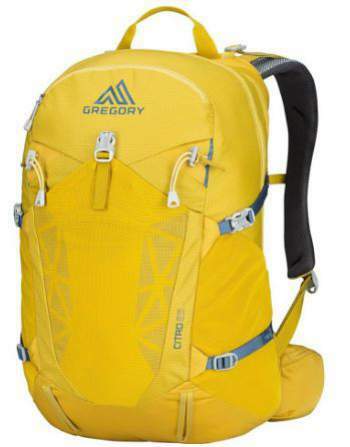 Check also this ultralight Inertia 25 pack from Gregory which comes with a reservoir as well. If you still need something different, please visit my page with packs below 35 liters, there is a huge choice of packs presented there from all top brands. Thank you for visiting my site. I hope the text has been useful to you. In the case of questions and comments, please use the comment box below. I wish you a pleasant day.